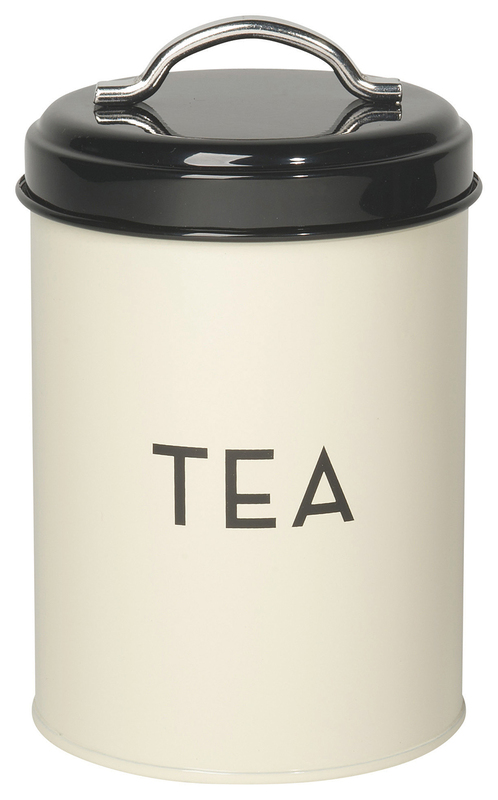 Keep coffee and tea stored in this powder-coated tin. Light and air are no match for the opaque containers with silicone rubber seals. Stylish art-deco inspiration with capital typeset and a white lid. Handle on lid for easy access. This tin is cylinder shaped and measures 4 inches in diameter and is 6 inches tall. Has a 40 ounce capacity.